Volkswagen Saveiro 2013 is a compact pickup built on the basis of Volkswagen Golf of the second generation. At the same time the front suspension and the steering mechanism was borrowed from the Seat of Ibiza. The car is produced at the Brazilian plant Volkswagen do Brasil. 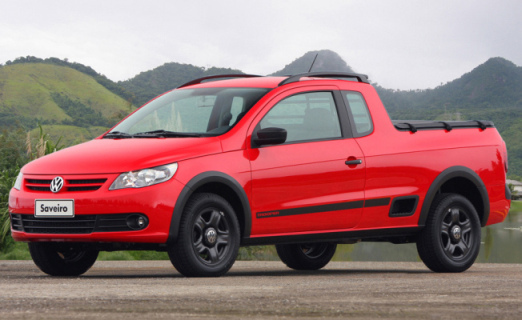 The body of the Volkswagen Saveiro is created on the principle of a coupe pickup. It means that behind the front seats there are compact chairs for children or cargo, almost like in tight compartments. And for luggage carrier you can use a cargo platform. Volkswagen Saveiro 2013 has only one motor. But traditionally for Brazil it can use two types of a fuel (gasoline and ethanole), with a volume of 1.6 liters. 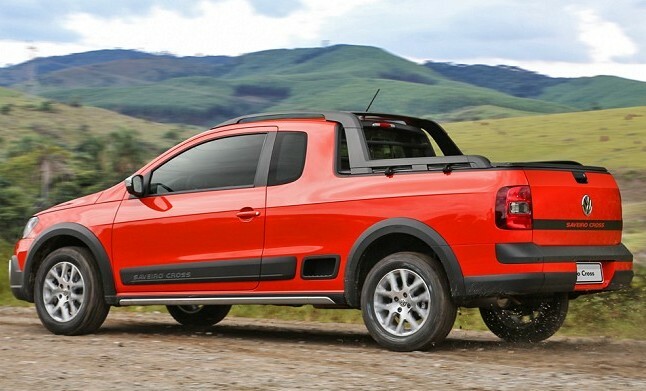 If the pickup is refueled with gasoline, the power will be 101 hp, and with ethanol – 104 hp. The gearbox is also one – an ancient five-step “mechanics” of Argentine production. However the producer offered three levels of performance to choose from: a workhorse with Spartan comforts to a luxurious set with body-colored bumpers. At the same time the maine purpose of the car is to carry the goods. In this review we want to tell you about the Volkswagen Saveiro 2013. 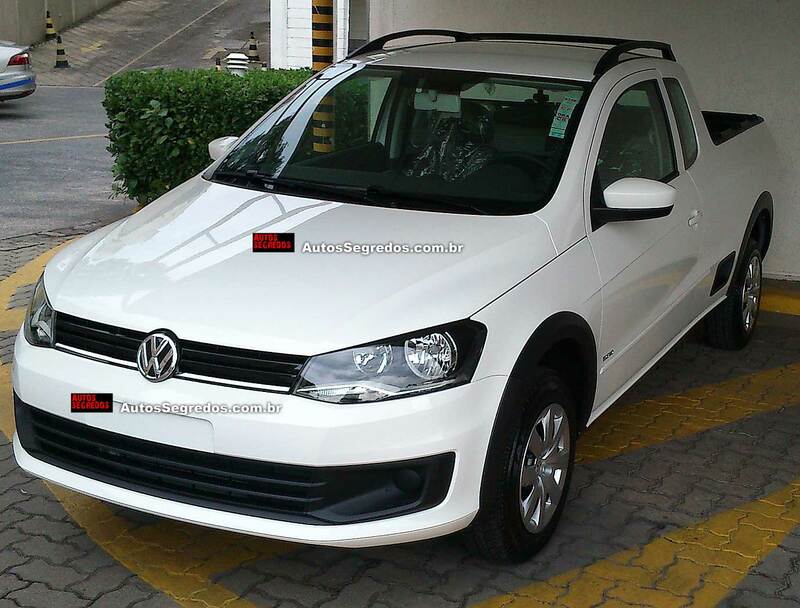 See photos and video of Volkswagen Saveiro 2013, leave your comments about this car.